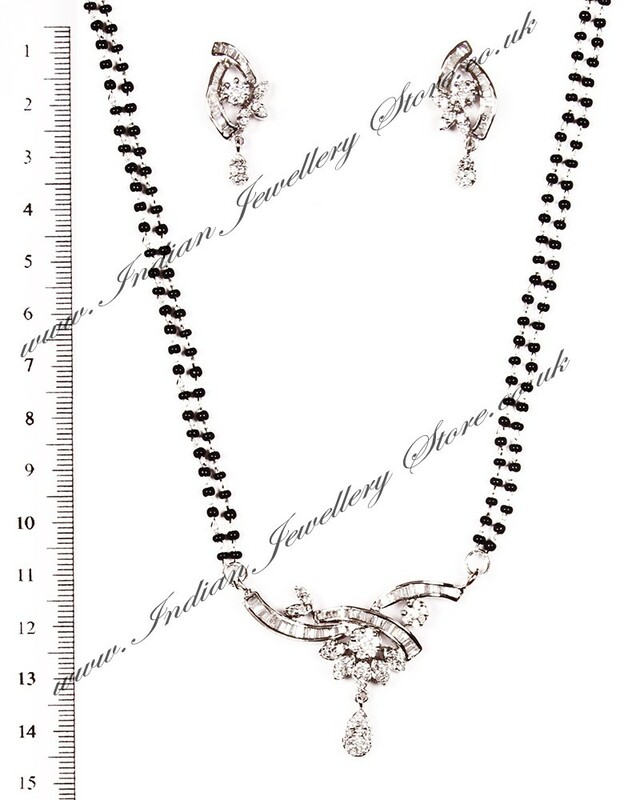 Mangalsutra and earrings set, modern design, in rhodium plating (silver colour used to plate white gold) and clear neutral. Set with Fine American Diamonds stones. Set includes: necklace, earrings. 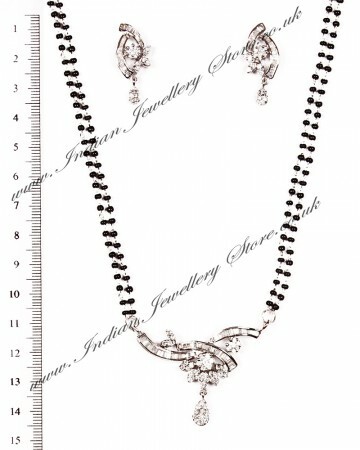 Chain lengths vary, if you require a particular mangalsutra chain length, please contact us with your order number/details and we will size your chain free of charge. Adjustment will add 1 day to delivery time. Scale shown in image is in cm.